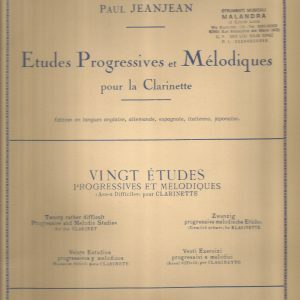 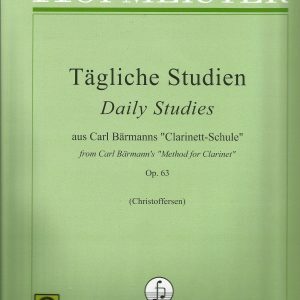 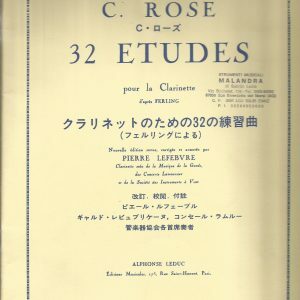 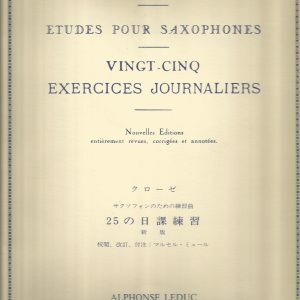 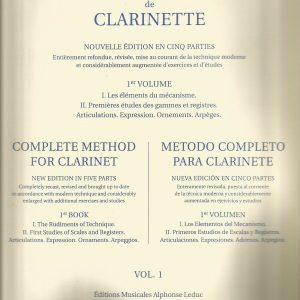 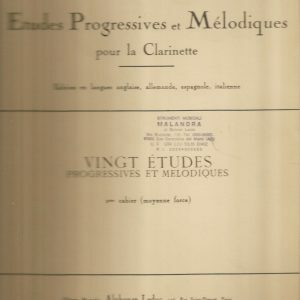 H. KLOSE’ ETUDES POUR SAXOPHONES -VINGT CINQ EXERCICES JOURNALIERS-. 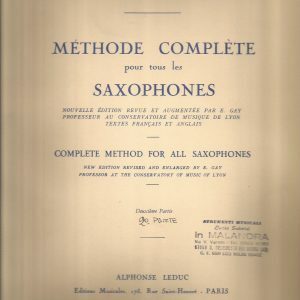 H. KLOSE’ -METHODE COMPLETE POUR TOUE LES SAXOPHONES PART 1. 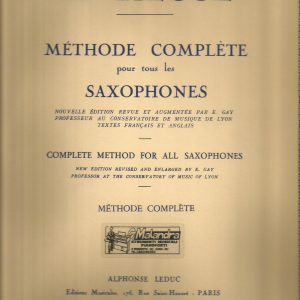 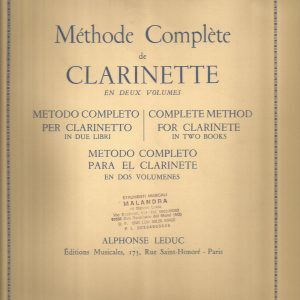 H. KLOSE’ -METHODE COMPLETE POUR TOUE LES SAXOPHONES PART 2. 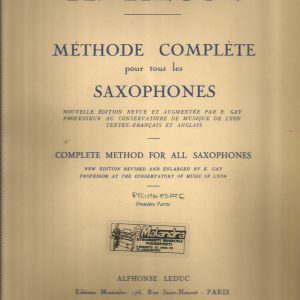 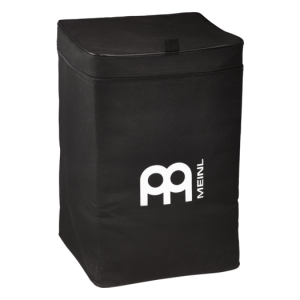 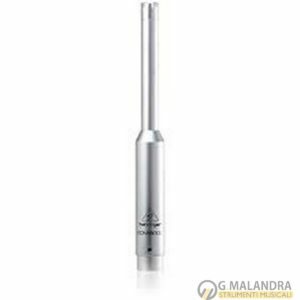 H. KLOSE’ -METHODE COMPLETE POUR TOUE LES SAXOPHONES. 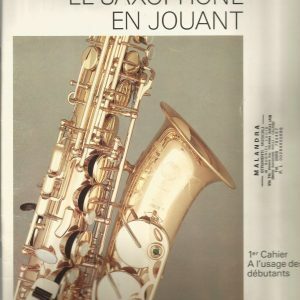 JEAN-MARIE LONDEIX -LE SAXOPHONE EN JOUANT. 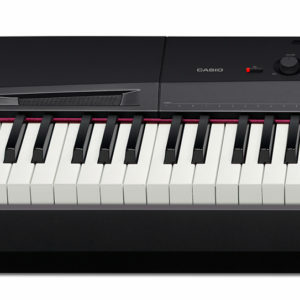 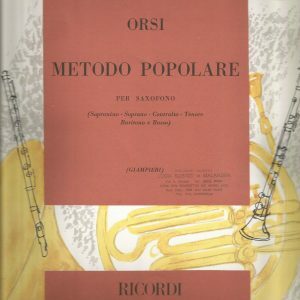 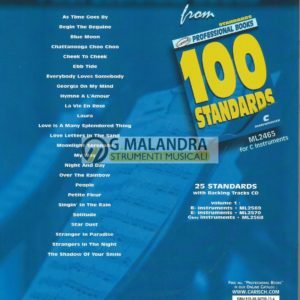 SALVIANI STUDI PER SAXOFONO VOL I.
ORSI METODO POPOLARE PER SAXOFONO. 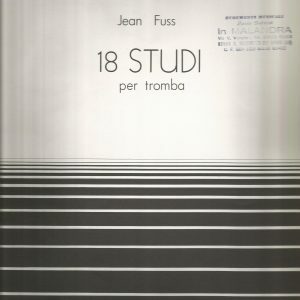 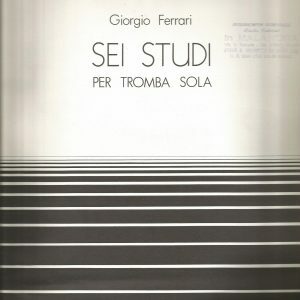 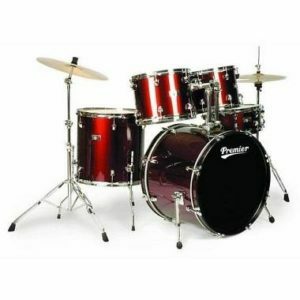 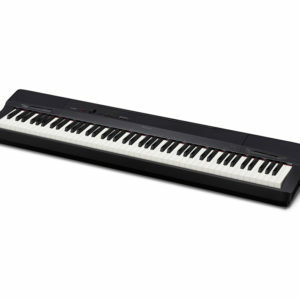 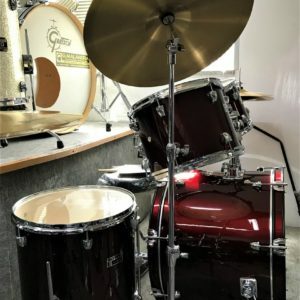 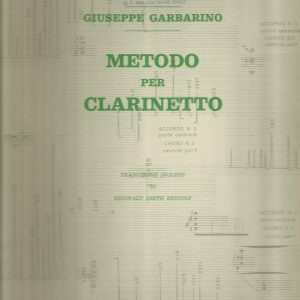 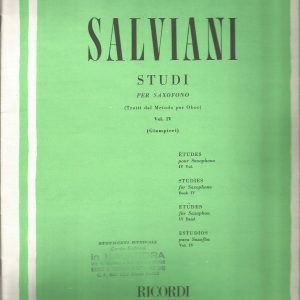 SALVIANI STUDI PER SAXOFONO VOL II (GIAMPIERI). 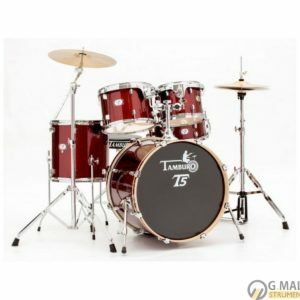 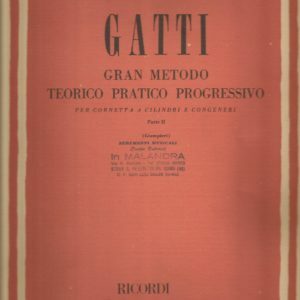 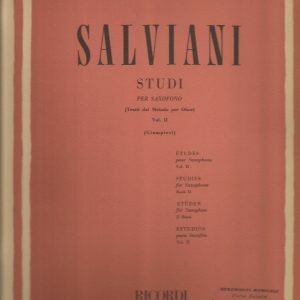 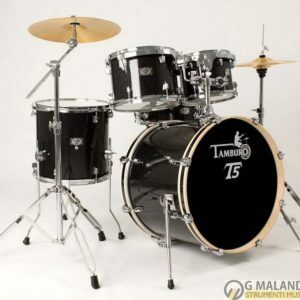 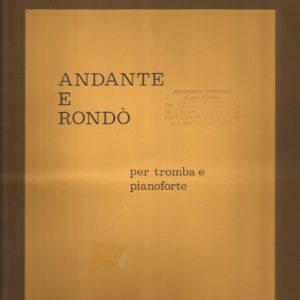 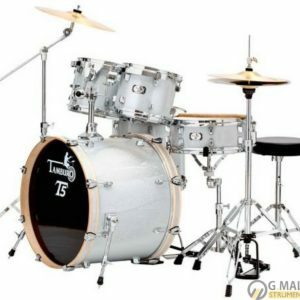 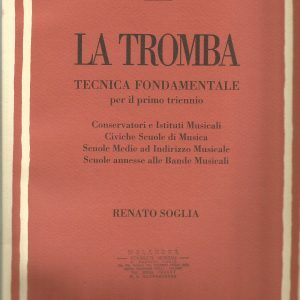 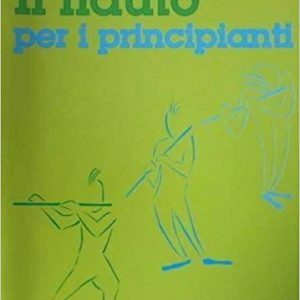 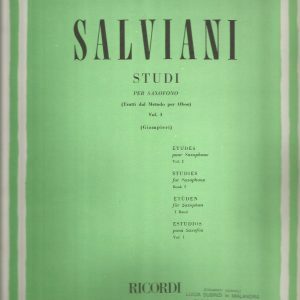 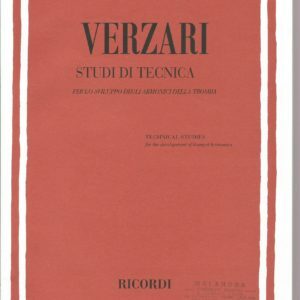 SALVIANI STUDI PER SAXOFONO VOL IV (GIAMPIERI).